Share Isaac Byrd, Jr.'s EPK! Isaac Byrd, Jr. is a gifted instrumentalist, composer, and phenomenal performer. Isaac started playing trumpet and drums at the age of 4 ever since that time he has progressed in his musical ability and skills. His gifting for music is uncanny and unmatched. He has created his own sound from listening to the great trumpeters that have paved the way for him. Giants such as Wynton Marsalis, Roy Hargrove, Dizzy Gillespie, and Freddie Hubbard are just some of the many people he frequently listens to. Now in his 20s he is releasing his debut album entitled "Beginnings". With this album Isaac displays his skills in writing, producing, and playing. The title track of the album "Beginnings" is a song that will have your head bobbin' and soul wanting more. Beginnings showcases Isaac's smooth trumpet tone and phrasing that breeds a sound of his own. This album features some of today's hot new artists Leon "Timbo", Merlon Devine, and Clay Benjamin. The album will have 13 great tracks for your listening pleasure from traditional jazz, hip hop, r & b, and contemporary jazz. 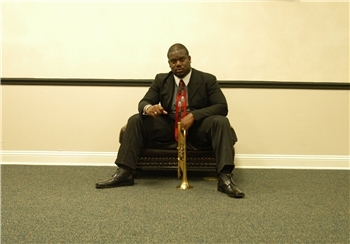 Beginnings definitely defines Isaac's debut after being featured on Merlon Devine's latest album "Breathe" (www.merlondevine.com). Isaac also arranged horns for Leon "Timbo" on his latest album "Soul Sessions" (www.gloryfire.com). Isaac Byrd, Jr. is a native of Baltimore, MD. He was born on November 6, 1981. He now resides in the city of Jacksonville, Florida where he studied music in his college years. Isaac at the age of 4 was given his 1st musical instruments by his father Isaac Byrd, Sr. At that time he was given a trumpet and a drum set. These two instruments would start a fire for music in this young mans life that he had no idea about. Throughout his youth he played in various bands in middle school and upper school. Isaac attended high school at Archbishop Curley High School which is a very well known to many national competitions and music educators as an institution for young musicians to work on their craft. While attending there he was apart of the Jazz Ensemble, Jazz Combo, and Concert Band. Isaac also played drums for his church The New St. Mark Baptist while attending high school. From high school Isaac attended college gaining experience with jazz like never before. During that time he was able to play with Joe Lavano, Chase Sanborn, Bobby Shew, Mark Zaus, and Chris Vidala. In 2002 Isaac was inducted into the IAJE All Star College Big Band which played at the International Association of Jazz Educators International Conference held in Toronto, Canada. Over the years Isaac has acquired gifting in playing multiple instruments and is using them for ministry. Isaac currently serves in ministry at The Potters House Christian Fellowship in Jacksonville, Florida (www.potters-house.org). Through his music he will minister to the nations and prophesy on the instruments he has gifting in and he will continue to bring music for all to enjoy. BEGINNINGS, FEELING OF MINOR, GROOVIN', AND VARIOUS ORIGINALS. COVERS: Never To Much, SQUARE BIZ, CHAMELEON, SO WHAT, Feels So Good, Rise, AND MANY MORE.